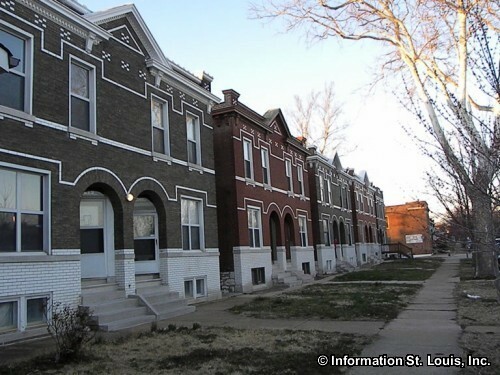 The Carondelet Neighborhood is located in Southeast. St Louis City. 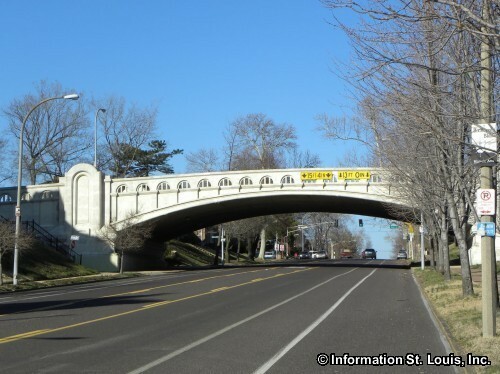 It's boundaries include the Mississippi River to the southeast, the River des Peres on the southwest, on the northwest, Interstate 55 and Grand Avenue, and Walsh and Eichelberger Streets on the Northeast. 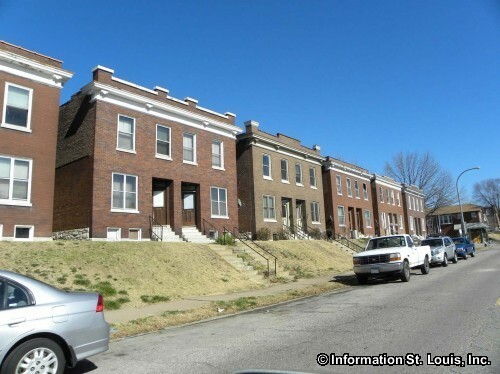 The St. Louis Public School District serves the residents of the Carondelet Neighborhood. The district has two schools in the neighborhood, Lyon at Blow School and Woodward Elementary School. 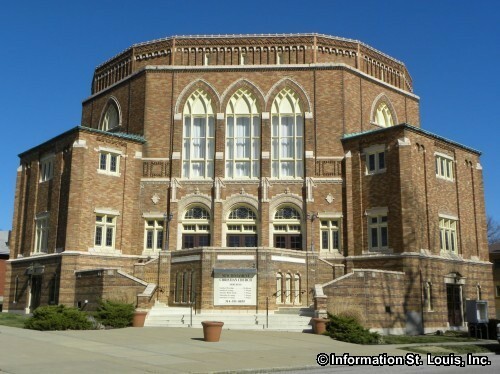 Lyon at Blow is located in the Blow School that was designed by William B. Ittner and opened in 1904. Lyon at Blow provides education for students from Kindergarten through 8th grade. Woodward Elementary School, built in 1921 and designed by Rockwell M. Milligan, educates students Preschool through 5th grade. 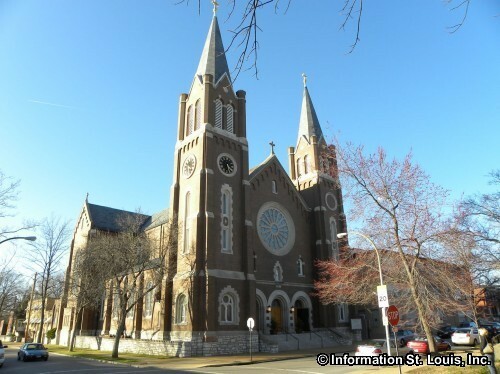 Another school located in the Carondelet Neighborhood is the St. Cecilia School and Academy, a private Catholic school which offers education to students Kindergarten through 8th grade. The Nativity Miguel school is embedded into the middle school of St. Cecilia which is offered to low income families and features an extended school day and school year. 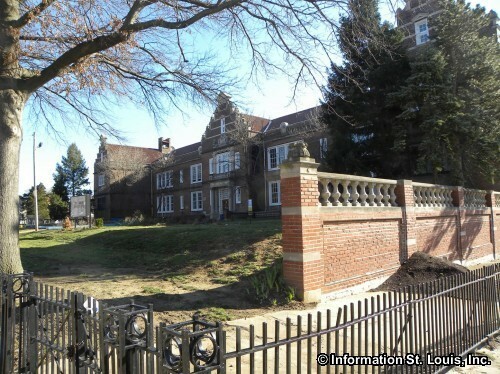 The Carondelet Neighborhood has several parks maintained by the City of St. Louis. 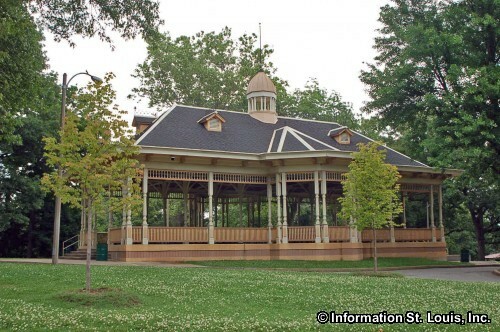 The largest park, although not in the neighborhood but is found on its western border, is Carondelet Park. 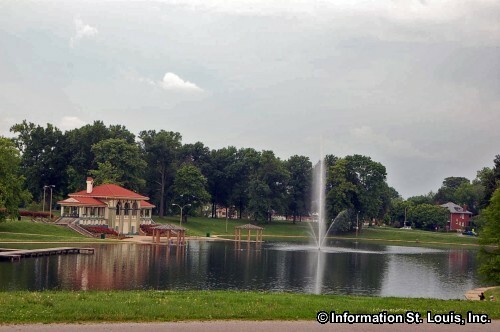 The park features almost 180 acres of parkland, two annually stocked large fishing lakes, picnic facilities and pavilions, athletic fields for baseball, softball and soccer, tennis courts, walking trails, the newly built Rec Complex with indoor aquatic center, gymnasium, weight room and more, and the historic Lyle Mansion. 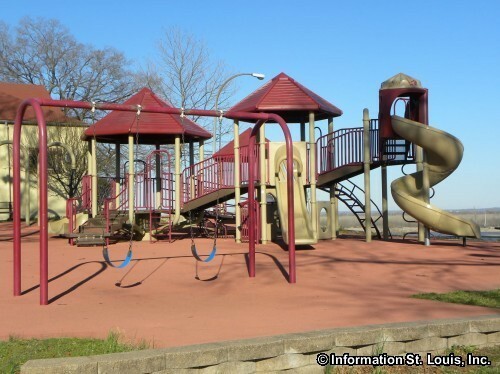 Three parks that are located in the neighborhood are the Alaska Park, Sister Marie Charles Park and the Bellerive Park. Alaska Park features over 4 acres of green space in the southern part of the neighborhood. 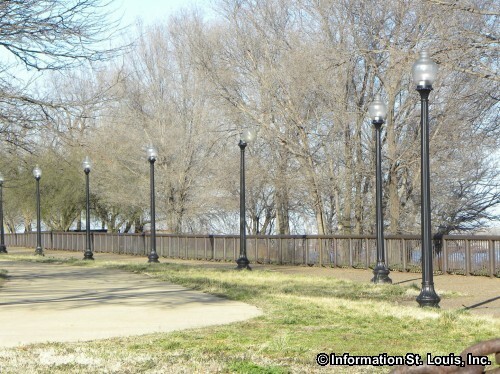 The Sister Marie Charles Park and the Bellerive Park are in the northern part of the neighborhood located on the bluffs overlooking the Mississippi River. 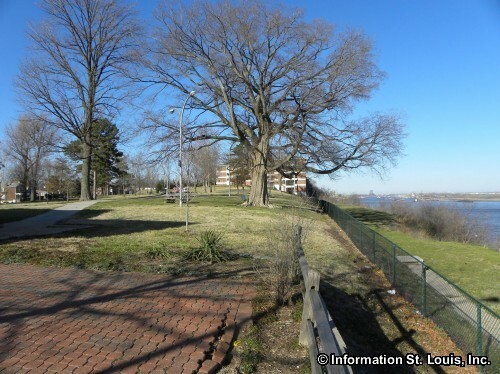 Besides the awesome views of the River, the Bellerive Park features over 8 acres of parkland and has a playground located there. 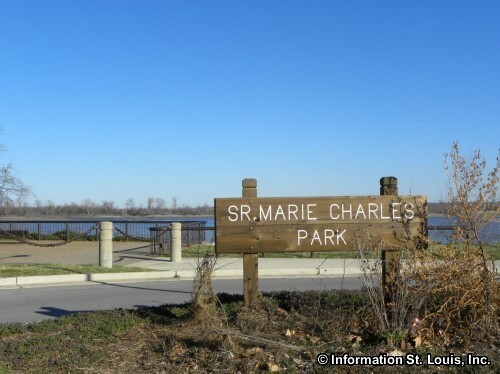 The Sister Marie Charles Park also has some great views and 3 acres of parkland. 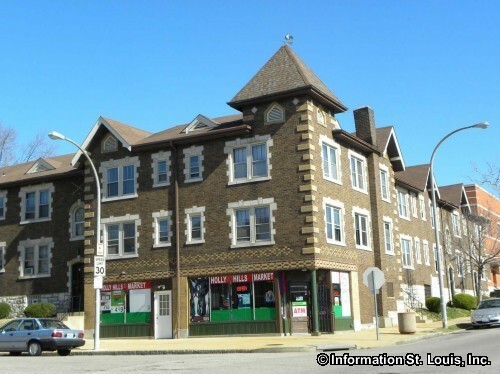 Carondelet originally was a much larger area than what is now the official St. Louis Carondelet Neighborhood. 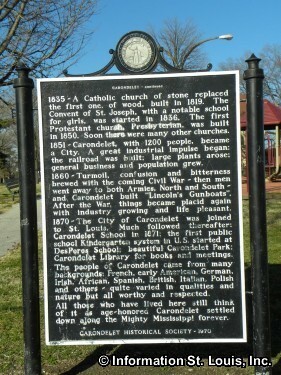 Carondelet was founded as a separate farming community from St. Louis in 1767 by Clement DeLore de Treget. 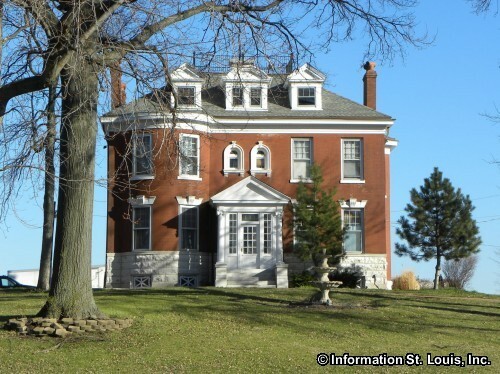 Other French settlers came from Cahokia and Kaskaskia Illinois with Pierre Laclede and helped settle the community. 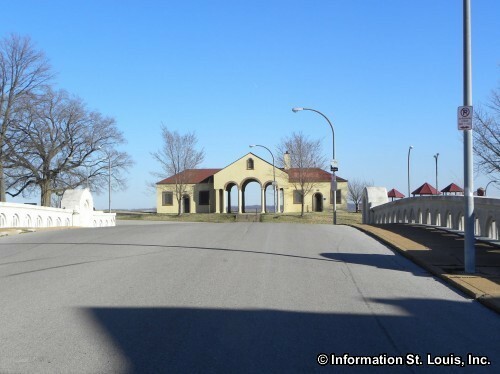 The area that the village covered, including its Commonfields and Commons of pasture land, extended from the Mississippi River to about as far west as Morganford Road, and then from about Bellerive Blvd on southward to include all of Jefferson Barracks. 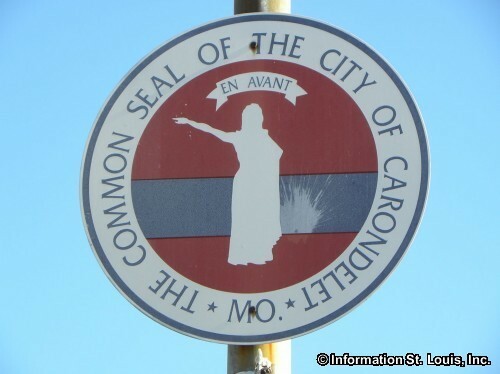 The village of Carondelet was incorporated as an independent city in 1851 and was then eventually annexed by the City of St. Louis in 1870. Carondelet had some notable residents. Henry Taylor Blow was a US Representative from Missouri as well as an ambassador to Venezuela and Brazil. He was also the President of the Iron Mountain Railroad. 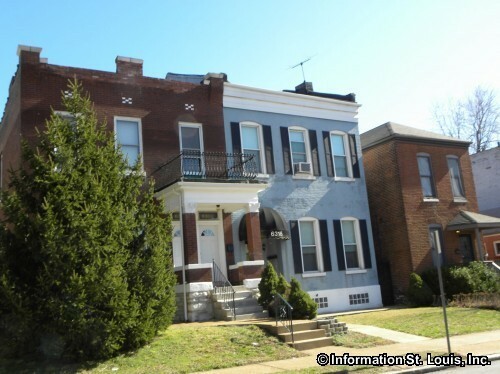 His family was one of the former owners of the slave Dred Scott and they supported Scott in his quest for freedom. In 1857, when Henry Taylor Blow once again found himself the owner of Scott, he emancipated Scott and his wife Harriet. Henry Taylor Blow donated much land and funds to build schools, churches and other important institutions in the Carondelet neighborhood. The first "regular" school was built using funds donated by Mr. Blow and the school was named "Blow School" in honor of him. 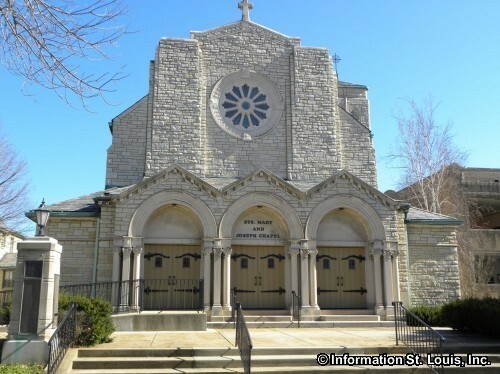 He donated land to several African American groups to build churches such as the St. John's Methodist Church and Freedman's Church and School which was unfortunately destroyed by fire only one month after completion. Susan Elizabeth Blow was one of Henry Taylor Blow's six children. She was the educator who founded the first public Kindergarten in the United States and did so in the St. Louis Public School System. 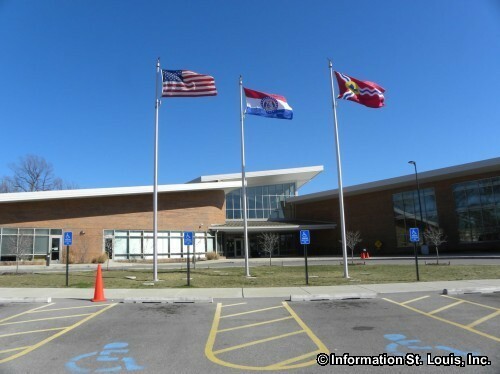 The Kindergarten was held in the Des Peres School located in Carondelet. 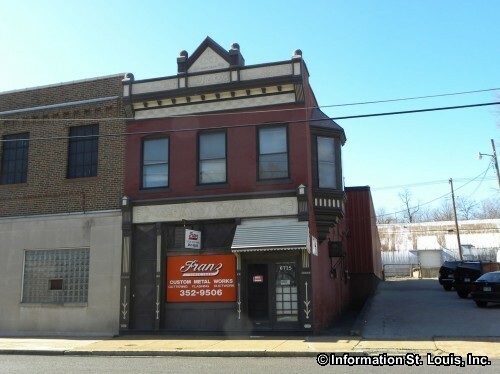 Another Carondelet resident was Lorenz Franz who was the founder of the Franz Custom Metal Works in 1887, the oldest continuous business in the neighborhood. The Knoll family, of the Walter Knoll Florist fame, began in 1883 with a greenhouse and nursery in Carondelet and often sold flowers from their horse drawn wagon. State Representative Tom Villa's family came from Spain and the family has lived in Carondelet since 1898. 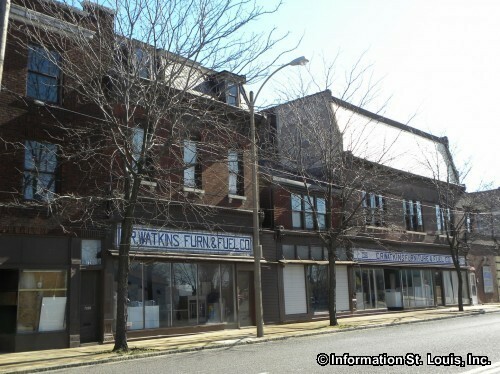 Another Carondelet resident was James Buchanan Eads who was a successful St. Louis business man. He leased Carondelet Marine Railway located in Carondelet to build ironclad gunboats for the Union during the Civil War. After the war, he went on to build the historic Eads Bridge in 1874. 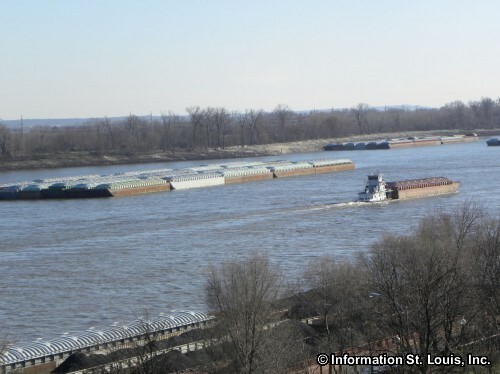 It was the first bridge to cross the Mississippi River in St. Louis. 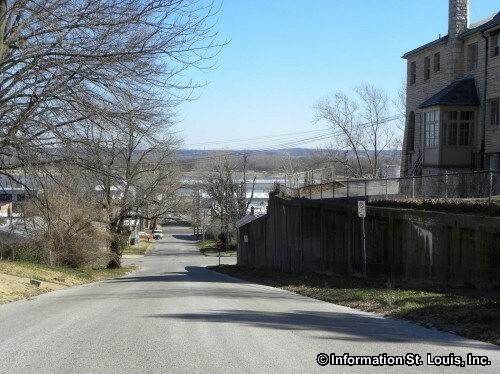 The narrow gauge Iron Mountain Railway started service between St. Louis and Carondelet in 1858. 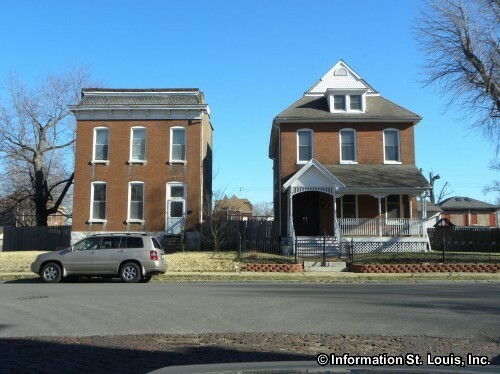 There were ten daily trains that took 40 minutes to run between the Elwood Station in Carondelet and St. Louis. The Iron Mountain Railway brought iron ore from Potosi and Pilot Knob to Carondelet for manufacturing into pig iron that was then used in making steel. 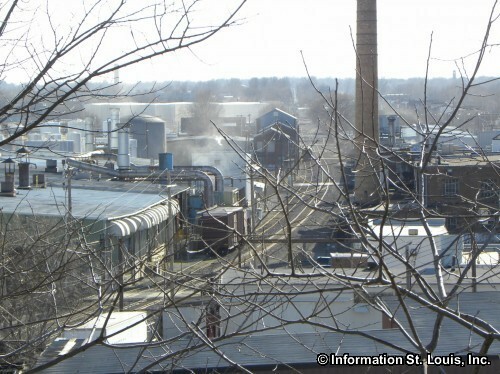 The railroad was the reason that many businesses came to Carondelet, such as the Carondelet Marine and Dock, which in turn created many employment opportunities, which then greatly increased the neighborhood's population. 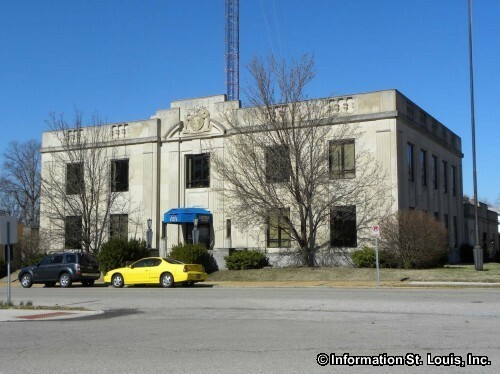 There are many important historic landmarks located in Carondelet. 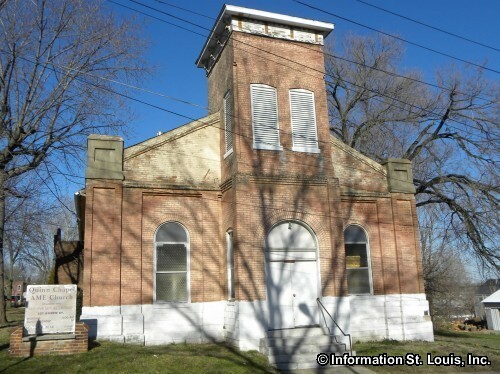 One of them, the Quinn Chapel AME Church, is located in the building that was built by the city of Carondelet in 1869 as the North Public Market. 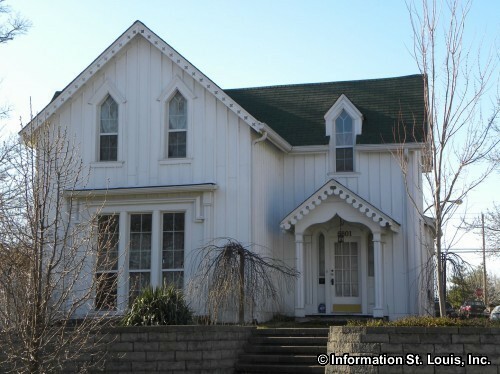 It was placed on the National Register of Historic Places in 1974. 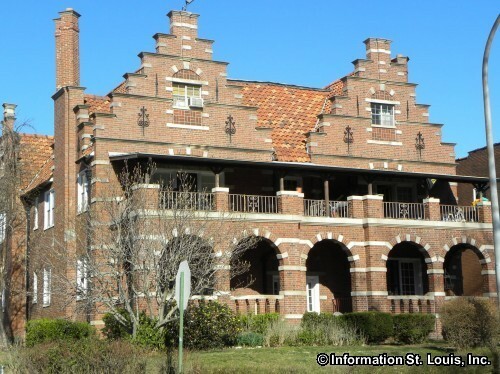 The Des Peres School is another historical landmark that is on the National Register of Historic Places. 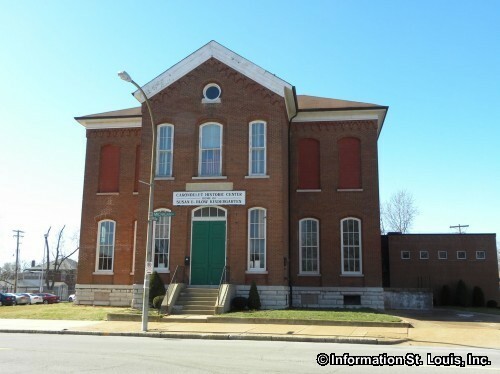 The building was designed by the St. Louis Public School Board architect at the time, Frederick W. Raeder, and was built in 1873. 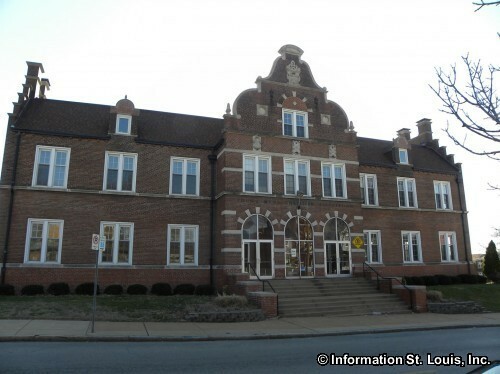 As mentioned above, the first Kindergarten in the nation was held at Des Peres School the first year it opened and became the model for the entire country. 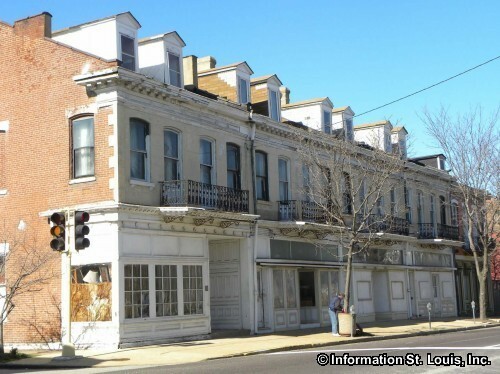 It now houses the Carondelet Historical Society. 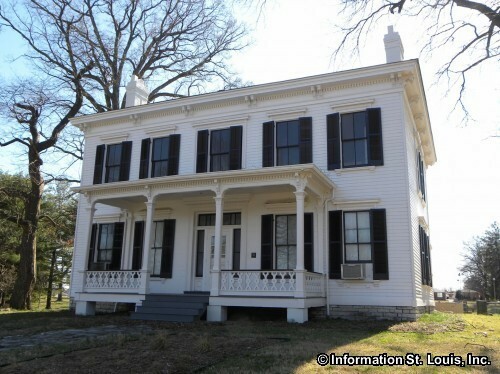 A designated City Landmark is the Lyle Mansion that was built by Alexander Lacey Lyle in 1850. 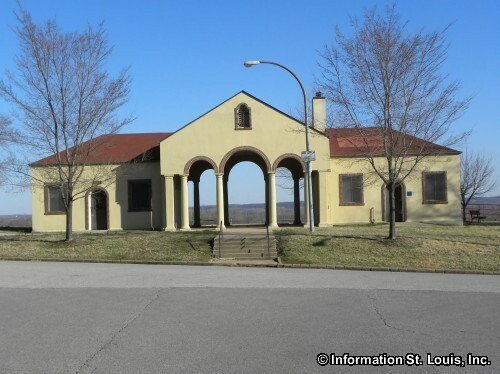 It is located in Carondelet Park on land that was originally a 180-acre Spanish Land grant given to Lyle's grandfather. 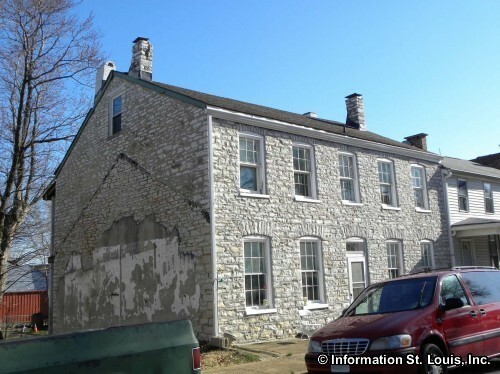 The Lyle family left St. Louis at the start of the Civil War because they were Southern sympathizers. 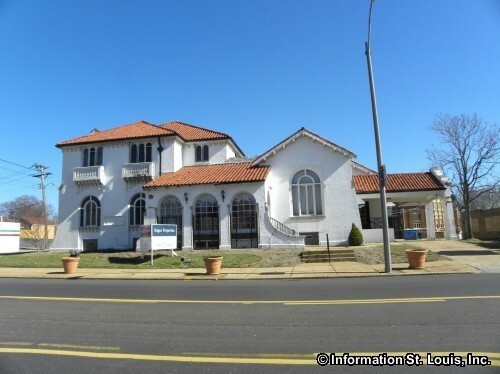 The Carondelet Branch Library is also a City Landmark. 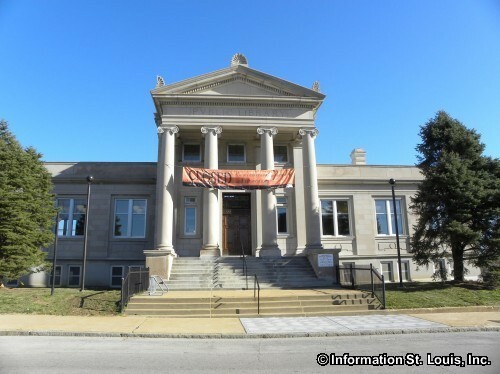 It was built in 1908 with funds that were donated by Andrew Carnegie and was the third Carnegie branch in the city. The Prague born architect, Ernst Preisler, designed the building in a Neoclassical style and had it built with Maine granite. 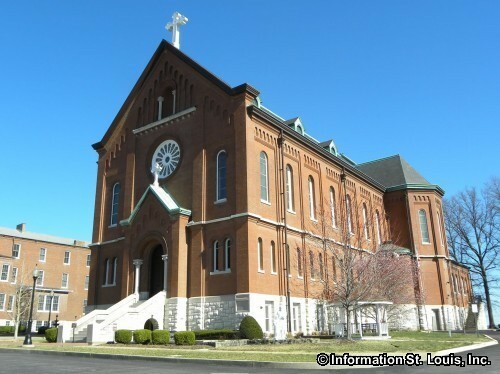 Other City Landmarks include the National Register listed Sisters of St. Joseph of Carondelet Convent, the 1842 built "Rock House", and the store buildings at 7121-29 S. Broadway that were built in 1879. 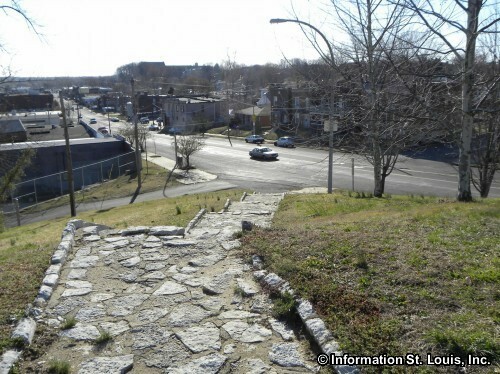 The South Broadway Bluff Area Historic District is located just north of Bellerive Park overlooking the Mississippi River.